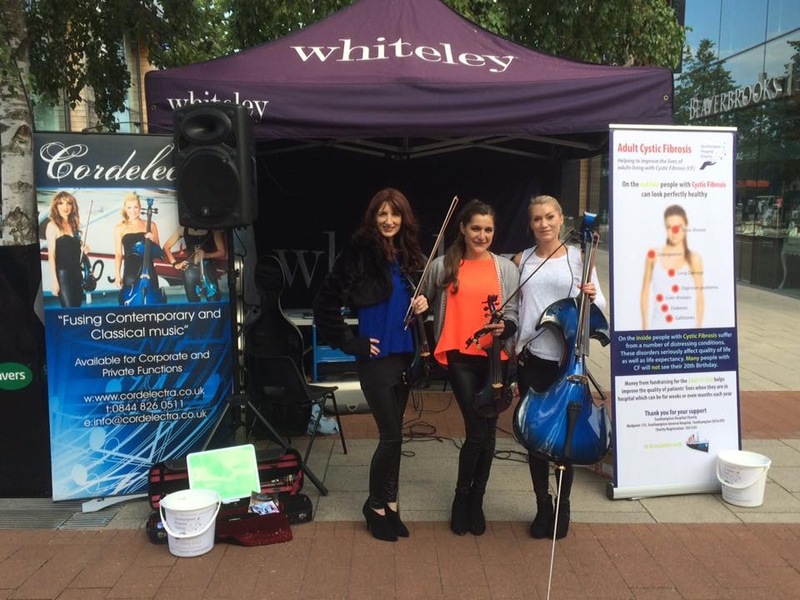 Emma, Patricia and Debbie enjoyed performing at Whiteley Shopping to raise money for the Adult Cystic Fibrosis Unit at the Southampton General Hospital which is a cause very close to their hearts. They raised £230 for the Southampton Hospital Charity. © 2019 Cordelectra. All Rights Reserved.